We build products that enable you to create thriving communities with SocialEngine. "@Ankit Bhardwaj You're welcome. Please contact us on the above provided email address along with your 'Site Admin Details' & 'Facebook Account Log-in Details (using which you have configured your Facebook App)." "@Ankit Bhardwaj The 'Valid OAuth redirect URIs' needs correction, it should be like http://Website-Name.com/user/auth/facebook After doing this change if still you face any issue, you may contact us here: support01@socialengineaddons.com We will be happy to help you out." "@Mikel Coreclark Thanks for registering with us. We are sure PrimeMessenger will be best fit for your SocialEngine Website and Mobile Apps. Please reach us at info@primemessenger.com for more information on the product features." Get Started with PrimeMessenger - Releasing Soon! "@PoeticJustice , SocialEngineAddOns licensing system callbacks to verify valid product installs only. Our plugins will keep on working fine even if our website goes down; there is absolutely no dependence there. PS: Topics such as Licensing system are highly confidential and should not be discussed on public forums. You can do a PM in case you have any queries." The all new version of SocialEngine PHP is here: 4.8.13! We have upgraded few of our plugins to make them compatible with it. 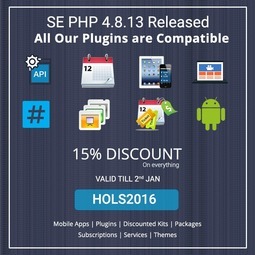 All our plugins are now compatible and work well with SocialEngine PHP 4.8.13. So, if you are going to upgrade SocialEngine PHP to it's latest version '4.8.13' then you would also need to upgrade some of our plugins to their latest versions. To begin the Christmas celebration, we are offering a great DISCOUNT of 15% till 2nd Jan'17: Mobile Apps | Plugins | Themes | Packages |Product-Kits | Subscriptions | Services. You can avail this offer by using the Coupon Code: HOLS2016 on the order checkout page. Happy Thanksgiving! We are deeply thankful to all of our Clients and the SocialEngine Community for their confidence in our work and continuous support. It helped us in building numerous feature rich products and services to make their online communities successful! 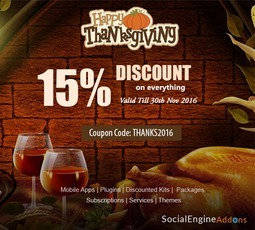 On the occasion of Thanksgiving along with Black Friday and Cyber Monday, we’re happy to announce a great discount of 15% on purchase of all SocialEngineAddOns products till 30th November, 2016 ( Mobile Apps | Plugins | Themes | Packages | Product-Kits | Subscriptions |Services ). You can avail this offer by using the Coupon Code: THANKS2016 on the order checkout page. If you are migrating your website from PHPFox to SocialEngine PHP, then you can avail an additional discount of 5% i.e. total discount of 20% on purchase of all SocialEngineAddOns products ( Mobile Apps | Plugins | Themes | Packages | Product-Kits | Subscriptions | Services ). This discount is valid till 30th November, 2016. To avail this discount, please contact us with your PHPFox website URL. SocialEngine team has recently upgraded their software and announced the release of SocialEngine PHP 4.8.11 fixing some important issues and security vulnerabilities. Following that upgrade, we've also upgraded few of our plugins to make them compatible with the latest version of SocialEngine PHP. While there were no major compatibility issues existing in our plugins after this upgrade, we thought it would be great to include those fixes in our plugins too. Yes, you read it right! For the first time ever, we’ve come up with an exclusive offer that is valid not only on our plugins and themes but on ourservices and already highly Discounted Product Kits and Packages too. It’s been 9 years since SocialEngine PHP 1.0 was released. To celebrate this, SocialEngine is offering a good Discount of 9% on every purchase of SocialEngine PHP till midnight June 2nd, 2016. Click here to read their complete blog post. Use Coupon Code: SE_9YEARS to avail this offer during checkout. Have questions about any of our products? 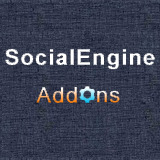 Get in touch with us from here: http://www.socialengineaddons.com/contact, or at:info@socialengineaddons.com. Online videos are becoming the fastest growing trend for communicating information. Videos aren’t just more persuasive, but also serve as a great means for people to satisfy their needs for any kind of information. Whether it’s about promoting a content, marketing a product, or encouraging an event, a video does that all seamlessly. This plugin: Advanced Videos / Channels / Playlists plugin provides a platform where users can utilize the potential of videos at maximum and get more engaged. Enabling users to post videos from their local computers, YouTube, Vimeo and Dailymotion, create channels, create playlists and do a lot of other things, this plugin makes your SocialEngine powered website more engaging and manageable for videos. Here is a new and elegant theme that is engaging, intuitive and visually explosive. The Responsive Captivate theme provides a new and fresh look to your website and an option to customize the pages templates as industry best visual designs. It is fully responsive and easy to customize by using extensive & powerful admin panel. Douglas McFarlane Looks good, when will it be available for CLOUD ? The web is now dominated by visuals, and 95% of researchers say that visuals are more effective than text-only content. This is what our product: "Home Page Background Videos & Photos Plugin" is all about. So, let's go visual and grow high. - Showcase the idea behind your website using a video or a series of videos. - "Home Page Background Video & Photos - With Sign Up / Sign In Form and Start Viewing"
- "Home Page Background Video & Photos - Landing Page"
- "Home Page Background Video - Full Height and Width"
- "Home Page Background Video & Photos - Without Header"
SocialEngineAddOns wishes you and your family a joyful holiday, Merry Christmas and Happy New Year! 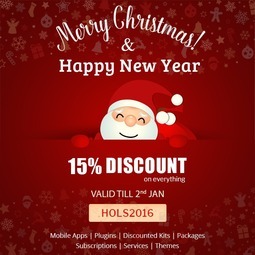 To make your celebrations more special, we are offering a great DISCOUNT of 15% for all plugin and theme orders till 31st December, 2015. You can avail this offer by using the Coupon Code: HOLS2015 on the order checkout page (http://www.socialengineaddons.com/cart/checkout). [Note: This discount will not apply on Normal Subscriptions, Mobile Subscriptions and our highly discounted Product Kits & Packages.]. 2015 has been a wonderful year for us with our many New Plugins, Product Kits, many Enhancements, new Services and new Themes, and we've listed some of these developments below for you. If you have missed getting some of our products to enhance your community, then now is a good time to get them with our holidays discount. With all of these releases, we had one primary goal: Enabling you to have successful and thriving online communities! Hurry and avail your discount now, and have a wonderful 2016! 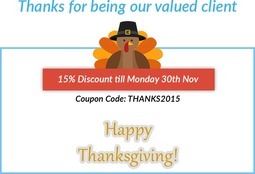 To express our sincere appreciation to all our Clients and the SocialEngine Community, we are offering a great DISCOUNT of 15% for all plugin and theme orders till Monday, 30th November 2015 as a Token of "Thanks". You can avail this offer by using the Coupon Code: THANKS2015 on the order checkout page (https://www.socialengineaddons.com/cart/checkout) [Note: This discount will not apply on any Normal Subscriptions, Mobile Subscriptions and our highly discounted Product Kits & Packages.]. NOTE: Today is the last date to avail this offer. So, hurry up! Great news! You can now import Your PHPfox Community to SocialEngine with our tool: "PHPfox Importer for SocialEngine". SocialEngine is a powerful platform for building online communities with its awesome features, stability and extensive customizability. If you are planning to move your community from PHPfox to SocialEngine, then we have the right solution for you. Our import tool: "PHPfox Importer for SocialEngine" will transfer your data and content from your old PHPfox website to your new SocialEngine PHP website in a short span of time. To read the reviews of this importer script, please visit its page on SocialEngine.com over here. Note: SocialEngine PHP is also currently available at a deep discount of 10% till end of Saturday, Oct 10. Go get it here.